My main passion in life is talking about movies and music with other people. Especially independent and underground artists. I’m eager to learn everything I possibly can to be a successful journalist. A dream job would be as a correspondent specialising in American politics or sport. Frankie has a black belt in Tae Kwon Do... don't mess with her! I’m aspiring to be a sports journalist, preferably within football and this course offers a fantastic opportunity for me to get the qualification and skills required to do that. It's taken me years to finally get myself to go into the industry I want to work in... this course will give me all the tools I need. My dream job would be a cricket writer or commentator. This course will provide me with the tools to follow my dreams. My dream job would be to one day work at Sky Sports. One day I would love to write for The Guardian newspaper. My dream job would be a sports reporter. I wanted to become a journalist and I wanted to make sure I know everything about becoming a successful one - this award winning course is the perfect choice. I have had a keen interest in journalism and current affairs from a young age. I dabbled in student journalism in university and after working as a copywriter for a couple of years, I realised that journalism was my true passion. I chose this course because I'd heard great things about it from acquaintances and online, plus I knew I needed the NCTJ accreditation in order to succeed in journalism. I’d heard a lot of positive things about this course, it’s the missing piece of the proverbial puzzle. After achieving my degree in journalism, I’m studying the NCTJ Diploma to further develop my skills as a reporter. This course centre has won accolades for the last 6 years so I knew it would be the right place to get me on a journalism career path. I'd love to be a music journalist or get to travel the world. This course had a brilliant reputation and was right on my doorstep. I chose the NCTJ course because I wanted to become a journalist. The course is living up to expectation and has given me a much clearer idea of the path I need to get on to be where I need to be. After doing work experience at the Express & Star, my colleagues told me to get the NCTJ qualification under my belt. My dream job would be to a writer for a video game publication. My dream job would be a sports journalist covering sports all over the world. With an excellent success rate, I expected the course to offer me experiences and an education I would not have been able to receive elsewhere. My dream job would be a sports writer. I chose this course to teach me all the vital skills needed. My dream job would be working as a sports reporter or critic and I chose this course because of it's longstanding record of achievement. This course was recommended to by previous successful candidates, who have gone on to work at the BBC and the Express & Star. It has been challenging but the hard work does pay off and it’s given me the opportunity to grow as a journalist. I had no experience of journalism before starting the course and I initially worried that it would be a setback, but the course and the practical support from tutors helped prepare me for employment. As a post-grad who didn't want to work in retail any more, I'm fulfilling my dreams of being a journalist. I am taking advantage of the quality that is right on my doorstep. My aim is to be a sport or travel journalist. I once wrote a story for the UK's biggest selling regional daily newspaper that saw a huge advertising change at Wolverhampton Train Station. My dream job would be either an environmental journalist or a music journalist. I've reported on and documented the covert saboteur operations on the badger culling within Gloucester and Somerset. I have learnt so much from the course and I will use my knowledge for the rest of my career in journalism. 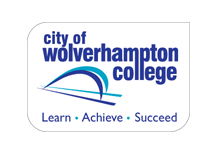 The course gave me all the tools I needed to step into the world of journalism - after speaking to people who have completed other courses it really made me realise how lucky I was to have been taught at City of Wolverhampton College. The course was perfect for giving me a fully rounded education in journalism and really helped me prepare for a role in the media industry after graduating. This college has an incredible success record and is the most local college to offer NCTJ. After so long out of formal education I have found the course a challenge - but I have also found it hugely rewarding. As a result of the intense course, I was thrilled to land a job before the end of the course. I have absolutely loved the course. I'm pretty sure that this course was made for me. I've done more work within the last year than I did in three at University! Everybody on the course has been friendly, supportive and enthusiastic about journalism. I feel the course has equipped me well for future work in this field, particularly with shorthand and court reporting. I have been lucky enough to do things and meet people I never would have dreamed of. I have learned so many interesting things, made friends for life and my shorthand continues to amaze my family! Overall it’s been a great experience. The reputation of the course at the City of Wolverhampton College made the decision of where to do this course easy. I had been working as a freelance journalist for a few years and felt it was time that I took this course. Previously I was a Further Education tutor, but journalism had been tugging at my heart strings for some time. 100% worth all of the hard work. I not only learned everything I needed to know, but also discovered a lot about myself. I found the course challenging, exciting, interesting and very fulfilling. A fantastic course with committed teachers that really prepared me for life in the newsroom. It was a fantastic course and gives you a grounding in the basics of law which I found particularly useful. It was very challenging but there was help from teachers and students. I now wake up in the morning excited to go to work. What more can you ask for? The course was challenging, but I enjoyed the positive atmosphere and motivation from fellow students and brilliant staff. I found it to be a good, positive atmosphere full of people who all want to go in the same direction.